Lacey and I are sport, recreation, adventure, and dog-loving enthusiasts, currently living in Northwest Wisconsin, USA. 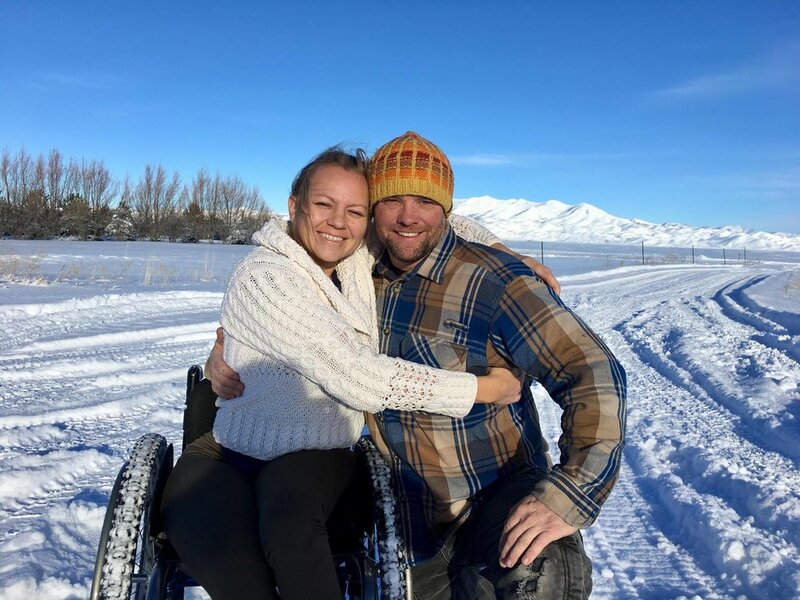 Lacey is a 2-time Paralympic Medalist and World Champion alpine mono-skier, ski coach/instructor, singer/songwriter, motivational speaker, and overall badass. Ben is a master’s level Recreational Therapist by trade who was born with an inherent addiction to sled dogs. 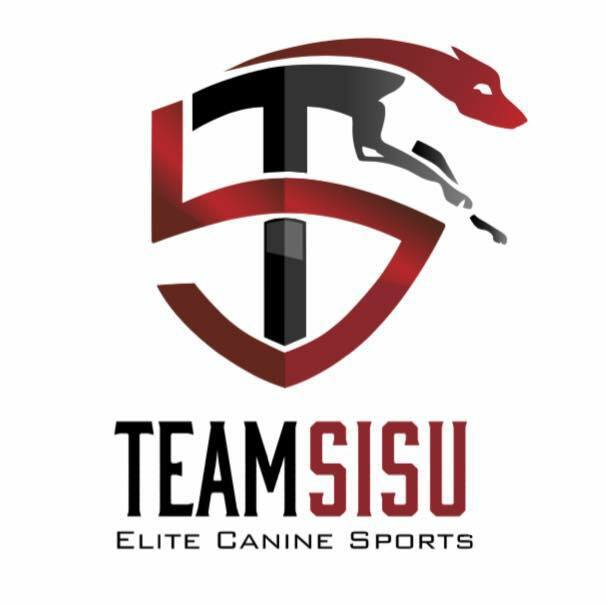 We are the owners/operators of Team SISU Elite Canine Sports, a sprint micro-kennel focused on limited class dryland and sled events, community outreach, advocacy/education, skill development, and the accessibility of dog powered sport and recreation to promote the health and well-being of both humans and dogs alike. Ben was born into a mushing family and his first experiences looked like being slapped into the basket of a sled in a sleeping bag and being jostled, or even frozen, into oblivion by the age of two… a different sort of shaking baby syndrome. This does, however, explain quite a lot about the guy, lol. As for Lacey, she actually entered into Ben’s world during a period when he happened to be dog-less. After solidifying the union, however, Ben set off to adding a few dogs to the happy new family, one by one. Lacey has since taken up daily meditation and pranayama breathing while receiving lots of kisses from both Ben and their dogs while she aims to cope. More seriously though, Lacey’s first mushing experience consisted of taking our 2 dogs, Radar and Rook, out for a harness run while seated in her wheelchair and hanging onto a towrope connected to the tugs. 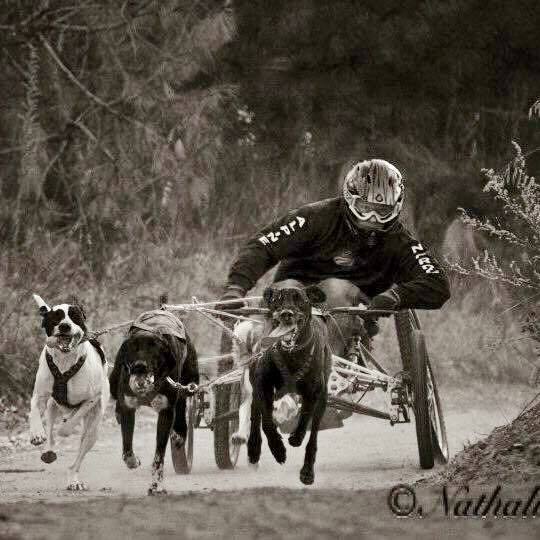 She describes it as complete joy to have entered into the dogs’ fervor to drive and run. Today, she can be sometimes seen with the dogs either crushing it with a 4-wheeled downhill MTB, or custom made sit-sled. Our family began in mushing with working Malamutes back in the 70’s, and since that time, we have worked with all of the more traditional northern breeds at one time or another. Ben, however, has a need for increased speed, so around 2006, he began strategically acquiring and reproducing Pointer/Greyster/Alaskan crosses, who now comprise the entirety of the team(s) we now run. These dogs primarily range in size from 58-70 lbs, have incredible athletic versatility, wonderful and kind temperaments, and are extremely responsive and loyal animals; all qualities we adore and strive to responsibly perpetuate. We try and implement cross-training wherever we can safely and effectively find it… swimming, free-running, play yard time, fetch, bike, obedience work, individual and team harness work, etc. We keep things dynamic, encouraging, and on a progression for intensity and duration; always trying to leave them wanting just a little more. Typical dryland events tend to be very short, 2-4 miles, so we prep to peak for those distances/speeds in the Fall, and again in the Spring. Following the Fall dryland season, however, we gradually adapt/adjust for the winter where we primarily target excelling at the 10-12 mile distance range. This is, of course, the time of year where more of the non-harness methods mentioned earlier are employed. This helps us to maintain a good base of overall conditioning and psychological well-being while we wait out the heat and a return to harness. We feel this facilitates the dogs entering into a consistent Fall harness routine with ease, and it helps us to realize quick gains on overall performance. 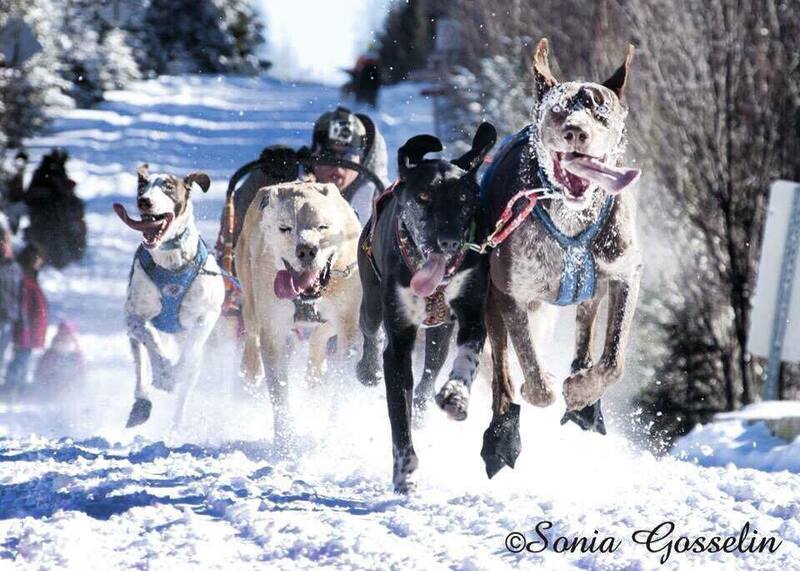 The pure exhilaration and connectedness felt with our dogs when all of our time/investment comes together for those magical performances together that seem to transcend everything else; suspended in awe with our dogs doing what we both love! Be dog lovers, first; dog drivers, second. Own your successes and mistakes; reflect, observe, ask, adapt, capture, and strive to be a better dog person. As for being competitive… You might not be able to out-rig, finance, gear, or travel the competition, etc., but you can often out-think, out-strategize, out-train/condition the competition, and truly care for and love on your dogs with all you have, and if you do, it will take you far and be far more meaningful than you can imagine.